UPDATE: Due to popular demand we will hold a second session of Introduction to Papermaking with Michelle Wilson on November 16th from 10 am to 4 pm! Email papermagnolia@hotmail.com to sign up. Learn the basics of creating your own handmade paper in the European tradition with Cotton and Abaca fibers. From the linter and beating stage to finished sheets, you will learn the process for making paper with different moulds and in a variety of colors. Students will learn to set up vats, pigment fibers, form and embellish sheets of paper. We will begin with a brief introductory lecture and spend the rest of the day making paper. Students are encouraged to bring items to use as inclusions such as dried flowers, lace, fabric, or old printed materials that will not bleed when wet. Please note: this is a wet class – participants are encouraged to wear clothing and shoes that can get wet. Instructor Michelle Wilson is an artist in whose work handmade paper plays a central role, whether in printmaking, book arts, or installations. She teaches throughout the Bay Area, most recently at San Francisco State, the San Jose ICA Print Center, and the Kala Art Institute. 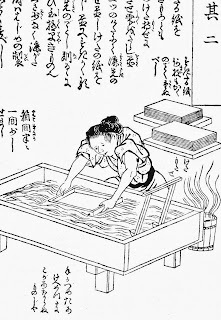 Japanese paper (washi) is world famous for its beauty and strength. Learn to make traditional washi step-by-step from cooking and beating the fibers to sheet formation and drying. We will make sheets on sugetas (Japanese moulds) and Western style moulds, learn to laminate inclusions in collage, and explore other techniques for decorative papers. Students are encouraged to bring items to use as inclusions such as dried flowers, lace, fabric, or printed papers that will not bleed when wet. 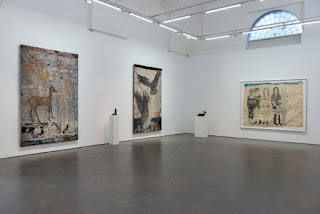 Instructor Carol Brighton is an artist whose handmade paper expertise can be seen in her printmaking and pulp paintings. Brighton teaches papermaking at the Academy of Art and also conducts printmaking workshops in her own studio. The fee for each workshop is $120 per person; classes will be limited to 8 participants each, so early reservations are recommended. Again, to reserve a place in these workshops, please email papermagnolia@hotmail.com.